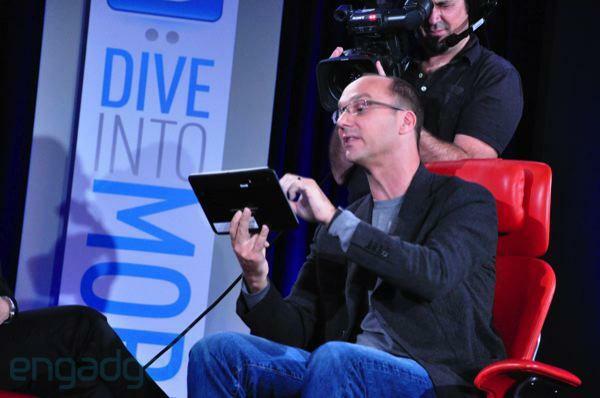 Andy Rubin, the mastermind behind Google's Android mobile operating system, demoed a prototype Android-based tablet from Motorola on Monday at this week's D: Dive Into Mobile Conference. The prototype was running Honeycomb, the tablet-optimized 3.0 version of Android OS due out "sometime next year," and will sport a "dual core 3D" processor, an NVIDIA processor and video chat, Engadget reports. Rubin, a former Apple engineer who now oversees development of Google's Android initiatives, teased the tablet during an interview with Walt Mossberg and Kara Swisher of The Wall Street Journal. During the interview, Rubin also showed off the just announced Nexus S smartphone, a flagship Android device that Google and Samsung are partnering together on. 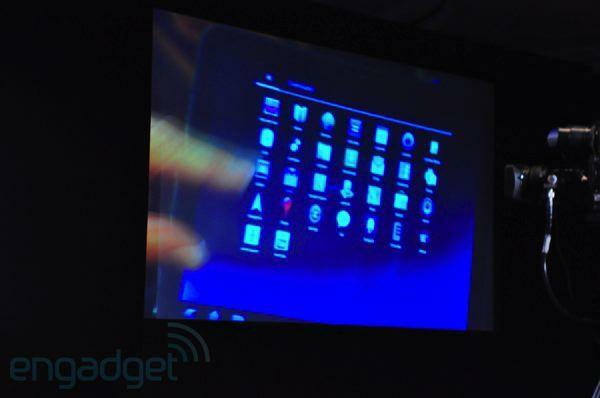 The Nexus S will ship with Gingerbread, Android version 2.3. After Rubin revealed details about next year's Android version 3.0, Mossberg asked Rubin: is Honeycomb "a version that happens to work on tablets, or is it for tablets?" To which, Rubin replied "It's a bit of both." In October, Apple CEO Steve Jobs downplayed the threat that Android tablets present for the iPad. "Even Google is saying don't use Froyo [the current release of Android OS], and instead to wait to use next years' version. What does it mean when a software maker says not to use their release and you use it anyway?" said Jobs during an earnings call. With Google's Honeycomb Android update customized specifically for tablets, the rivalry between iOS and Android should heat up next year. Samsung released the Galaxy Tab, the first major touchscreen tablet based on Android earlier this year, selling 600,000 units in the first month of availability, less than the iPad, which reached one million sales in just 28 days. Initial reviews of the Galaxy Tab were generally positive, though some reviewers complained about the pricing and stability of the device. Motorola and Apple are currently embroiled in a series of patent lawsuits against each other over smartphone, mobile and wireless technologies. Most recently, Apple added 12 more patents to its lawsuit against Motorola, bringing the total count to 24. Meanwhile, Motorola is trying to have those patents dismissed through a declaratory judgment.